Wednesday 7:37 a.m. Checked on Baby Dough. He’s supposed to be bubbly and active 12-24 hours after the last addition of flour, according to Amy’s Bread recipe. But he’s not so active. In fact, a layer of liquid has formed on top and he’s not gooey anymore. He’s runny. Hmm… Not quite sure what to do. Except put on my boots and shovel. Wednesday 8:45 a.m. I gave him a good stir with a wooden spoon to see if I could incorporate that liquid. Big bubbles popped up right away then settled down a bit. It smells sourish – I guess that’s a good sign? I put him back in the microwave with some hot water. I’ll check back in around noonish. 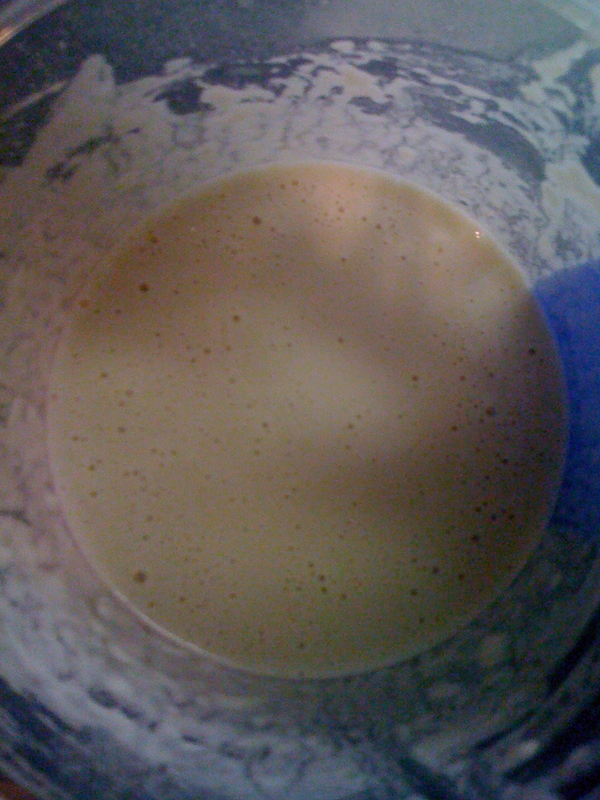 Wednesday, 12:32 p.m. Baby Dough began to separate again with a layer of liquid on top. No bubbling means no yeasty activity. Hmmm… so I decided to take a leap of faith here and I went ahead and fed Baby Dough with 113 grams of 80F water and 72 grams of flour. I took Baby Dough’s temp around 11:30 and it was 77F, so that’s good. I don’t think he”s not warm enough. I just think he’s hungry. 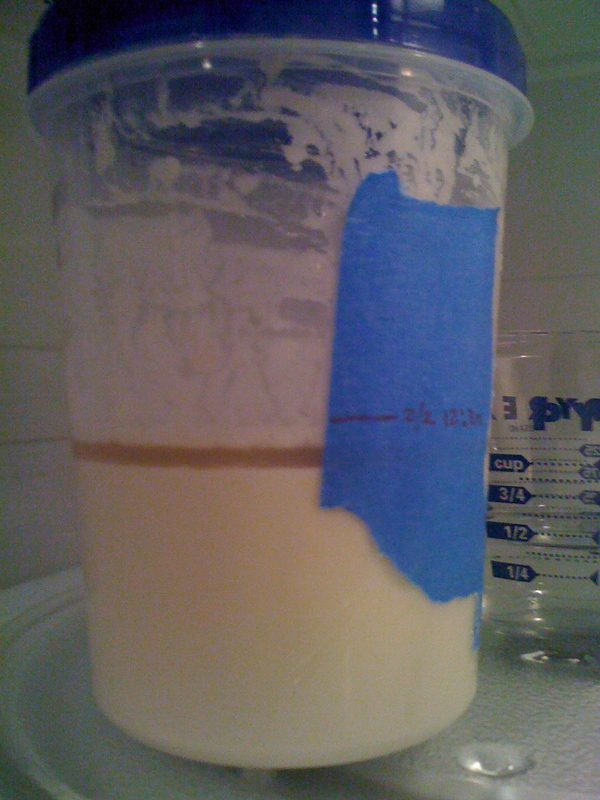 Or … maybe there’s no yeasty goodness left alive in there? Could that be? Let’s see what happens by evening. Wednesday, 5:58 p.m. I did a little YouTubing. This liquidy layer is normal. I think. It was on YouTube, so it must be right, right? And Baby Dough is supposed to be a bit runny. I think. My thought is I don’t have a whole heckuva lot of yeasties in there so it’s not bubbling tons. But it is bubbling. So, reading over the recipe just now, I see I was supposed to have discarded half of Baby Dough and add the 113 grams water and 72 grams flour. Hmmm… I think tomorrow morning I’ll do a do-over on this step and do it right this time. Gave Baby Dough a good stirring. Tucked him back in the microwave with some nice warm water. Sleep tight, Baby. Bubble away. After a good stirring, Baby Dough's blowing some tiny bubbles. You are currently reading Rye Bread: Day 3 at The Dainty Dot.